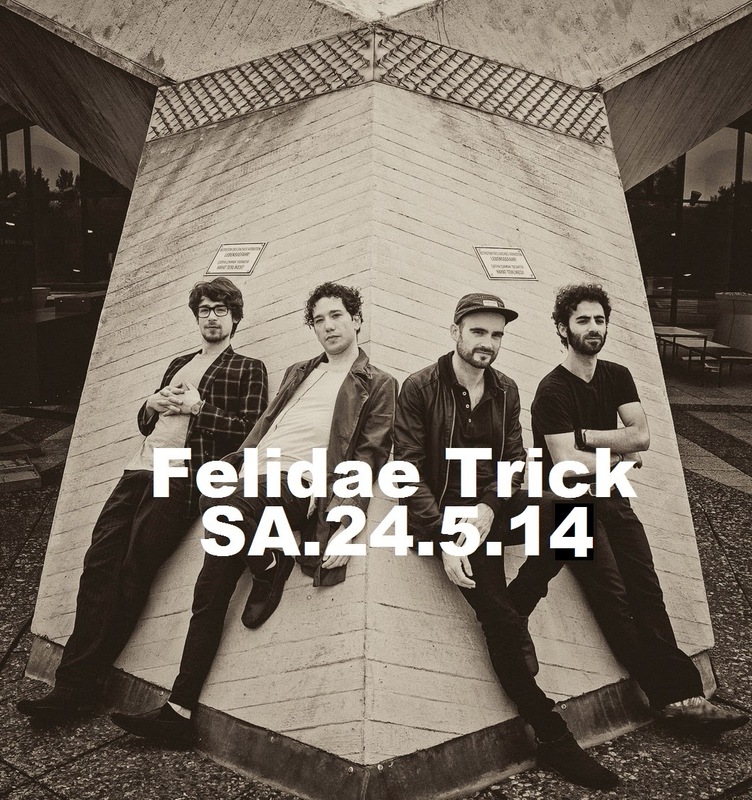 After its founding by Omer Liechtenstein in Tel Aviv, the first sign of life from Felidae Trick came out on summer 2011, the release of "The Felidae Trick" album. Afterwards, Omer gathered together with the English producer Peter Walsh (Simple Minds, Peter Gabriel) to work on the EP She Goes Away. In spite of much earlier action, the new album Patrimony is Felidae's first "band" album, and the first to be recorded completely in Berlin, and so it represents the path Felidae has chosen to walk through. Patrimony was produced by the Slovenian producer Zare Pak (Siddharta), on summer 2013. Some will notice an oriental flavour, while others shall detect a classical touch on this Indie Rock - New Wave band, which is influenced by bands like The Cure, Arctic Monkeys, Nirvana, The Beatles and more. That's no wonder, considering the diversity in its members' origin - one can find roots from Germany, Israel, Egypt, Turkey, Hungary and more.